As most of you know i am fast approaching my exams but ( Today is actually my first exam so wish me luck- just wanted to edit it before posting) when i am stressed i love to shop so i have been naughty recently and have been nipping to the shops here and there over the past few weeks. I keep telling myself that i deserve a treat for remembering everything i am trying to remember for these finals. I thought i would share some of the things i have bought and if you see anything you want. Go and get it because we all need a treat now and then. p.s. Good luck to everyone under pressure at this moment in time. Love your blog! Just spent far too long reading when I need to be revising for my exam tomorrow - oops! I love the jacket I need to get to Primark! ps. Good luck with your exams! I do love to shop at Primark - I am just like a kid in a candy store, everything catches my eye and most of the things land in my bag. Lovely finds, need to look for those black strappy heels, they look nice. So need to get my hands on one of those Lion necklaces, it's been long overdue! 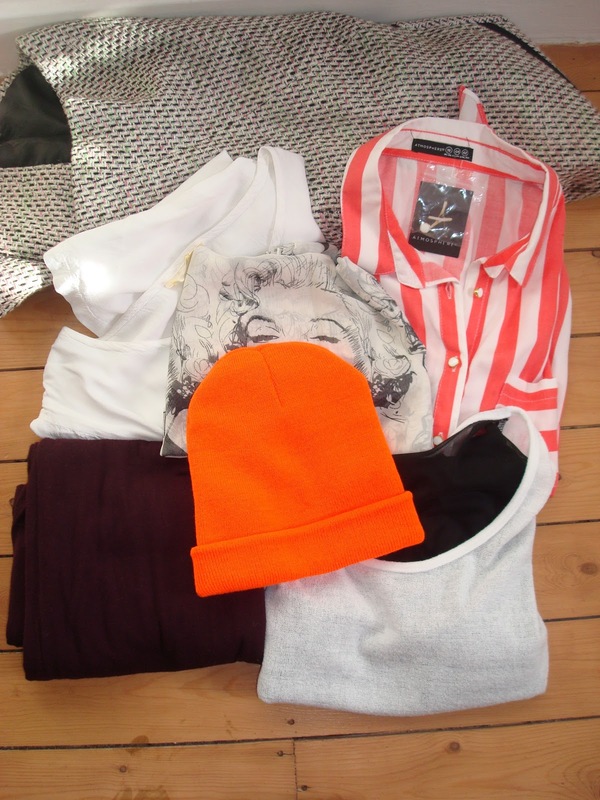 Some lovely purchases, nothing better than a spree to cheer yourself up! I did the same, pre and post exams ha!